Fr. 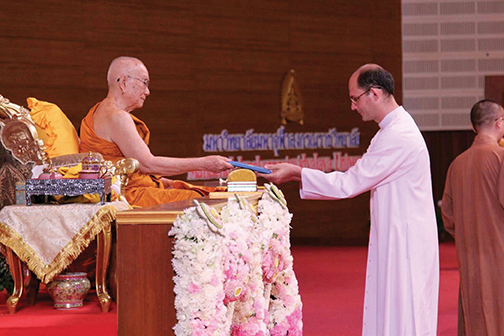 Daniele Mazza, PIME, receives his Master’s Degree in Buddhism from Mahachulalongkorn University. Fr. Daniele is the first missionary to ever do so. Fr. 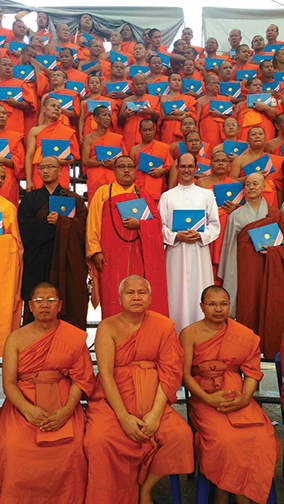 Daniele Mazza is PIME Priest who has devoted his mission in Thailand to interfaith dialogue. He is the first missionary to earn a Master’s Degree in Buddhism at the prestigious Mahachulalongkorn University, a reference point for the education of Theravada and Mahayana monks. When, some years ago, the PIME missionaries in Thailand decided to have a priest devoted full-time to interfaith dialogue, Fr. Daniele immediately offered himself to the cause. The clergyman asked to enroll in a Master’s Degree program in Buddhism at the Mahachulalongkorn University, an institution run by the Thai Sangha, the country’s Buddhist order, which educates more than 27,000 monks (and a few hundred lay- people) from across Thailand and neighboring countries like Laos, Vietnam, Myanmar, Cambodia, China, Taiwan, Sri Lanka, India, etc. “It was an amazing experience, which left a big impression on me,” Fr. Daniele said. At the end of their course, Fr. Daniele took a group of monks to his parish to witness the works that he did as a Catholic. One of the stops that they made was to the Angel’s Home care center. Another important experience for Fr. Daniele was vipaśyanā meditation, which he practiced in the woods on two occasions, for 15 days each. This religious practice is very important in Buddhism, but difficult and very “risky” for a Christian. “Quite a few priests and missionaries have abandoned the priesthood and the Christian faith after these experiences. 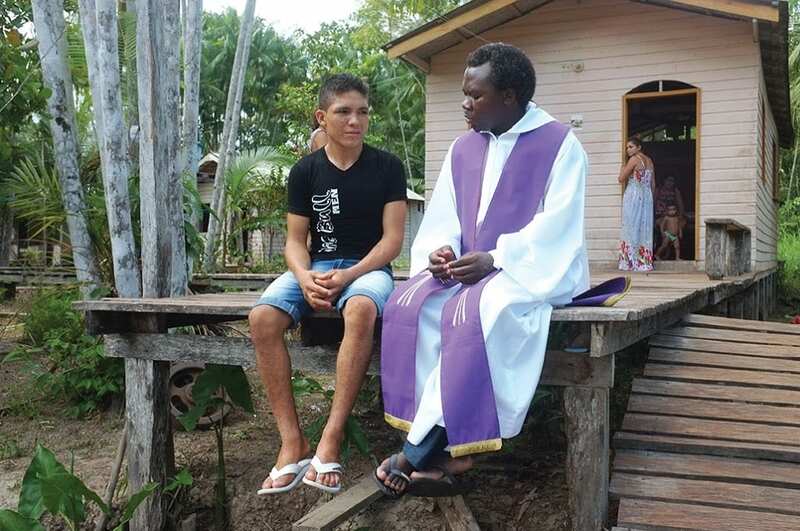 I tried to go through it with profound sincerity and humility,” the priest reveals. When asked about the methods of effective dialogue with Buddhists, the PIME missionary highlighted two possible paths. The first concerns content. “Those who are in contact with Buddhism should not emphasize theory or theoretical concepts, but rather communicating the Christian experience (which includes so many sub-experiences) and the ways to reach it.” Fr. Daniele has personally experienced this method successfully. During his studies, he was asked to teach to the monks a course on Christianity for one semester in the Comparative Religions department. “At the end of the course, I took the monks to my parish for a ‘taste’ of the Christian experience. I took them to a Center for disabled children, to slums to visit the old and the sick, to Sunday Mass to share in the Word of God.” Speaking of this, the monks greatly appreciated listening to the experience of another, given as a gift. 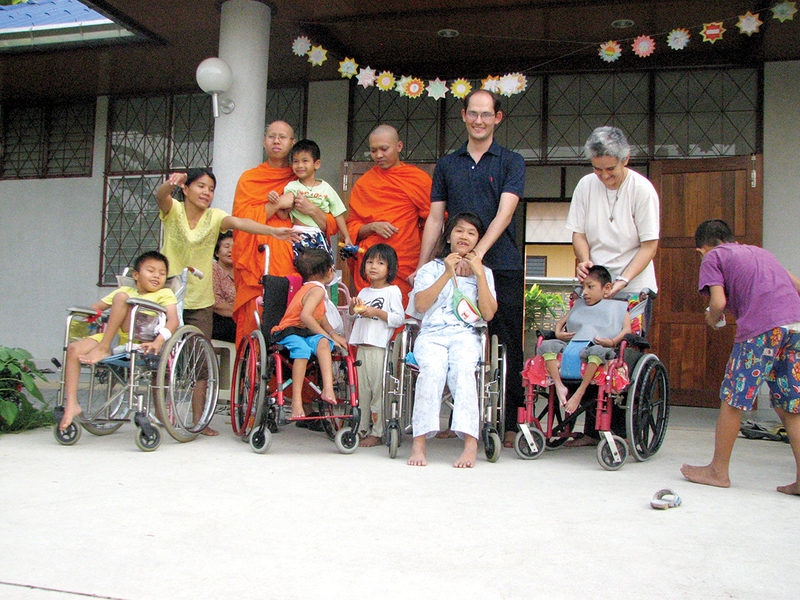 “We do not share experiences,” the monks told Fr. Daniele. Regarding Sunday Mass, they appreciated the sense of family in the small community of the Bangkok Parish, while visiting the sick and the elderly helped them understand why Jesus sought people and attended to their needs. Interfaith dialogue is a fundamental part of the life of the Catholic Church in Thailand, a country in which different ethnic groups and cultures coexist. 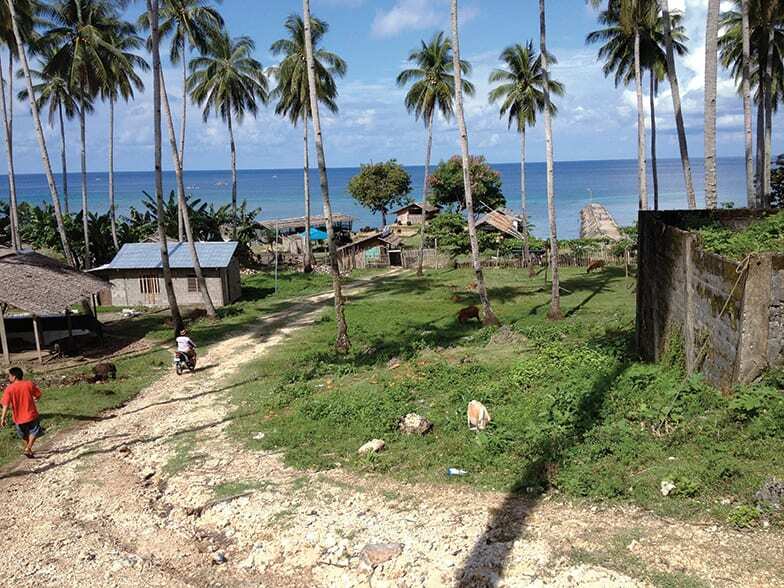 Catholic communities in the North are characterized by the many conversions among the tribal people there. According to Fr. Daniele, “the challenge is to make sure that the various tribes do not turn inward, setting up their own church, but form instead a single -family transcending cultural differences. [Another challenge is to] preserve the richness of their cultures, without focusing solely on their past, but also without rejecting their roots”. However, in the Bangkok area, the challenge is to revitalize the work of evangelization in order to reach all those living on the geographical and social periphery, those who are kept on the margins by the life of a megalopolis.